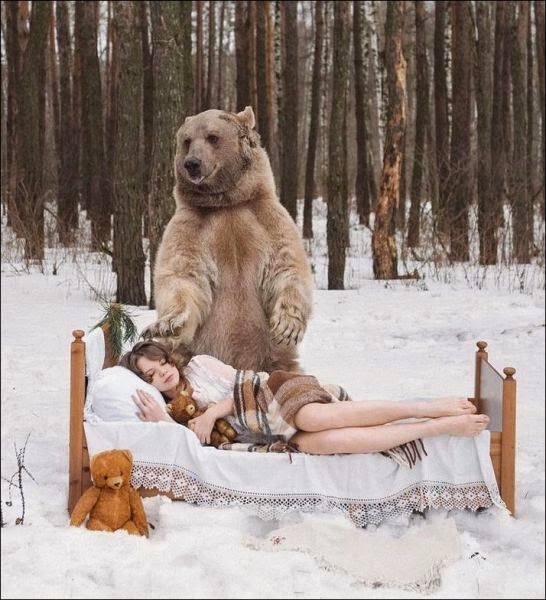 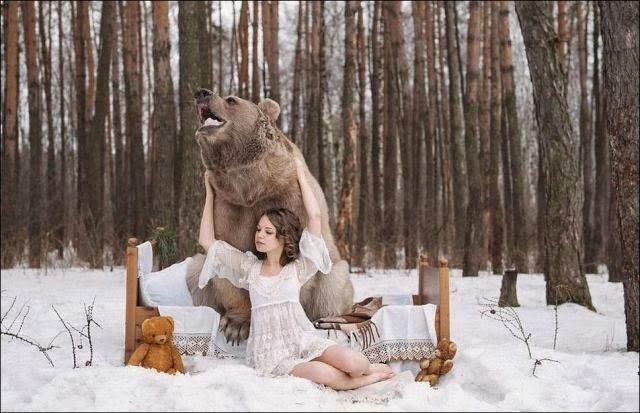 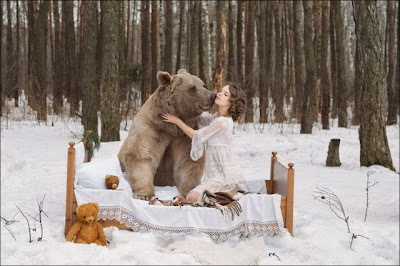 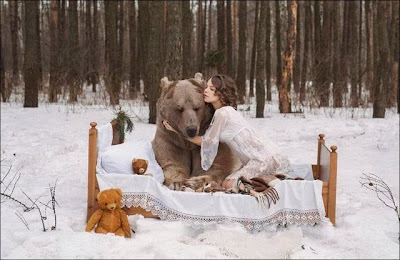 Russian photographer Katerina Plotnikova specializes in taking photos that seem to be straight out of a fairy tale. 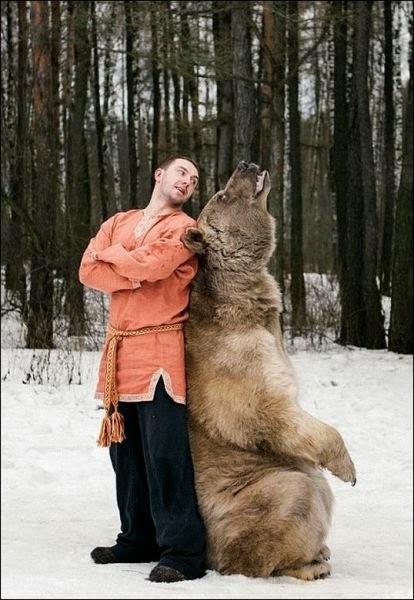 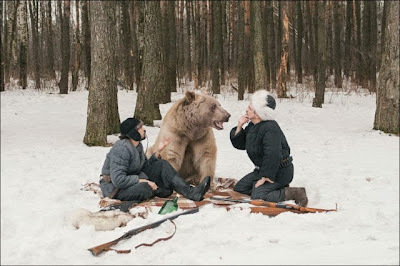 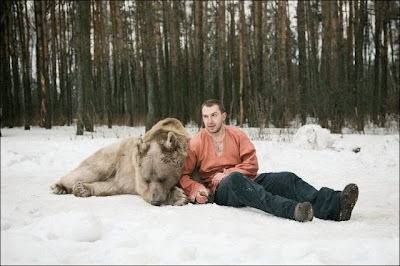 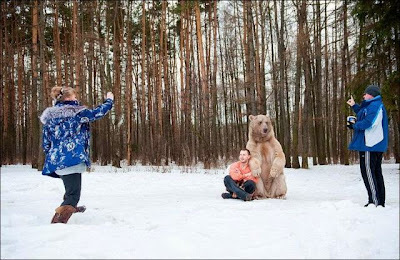 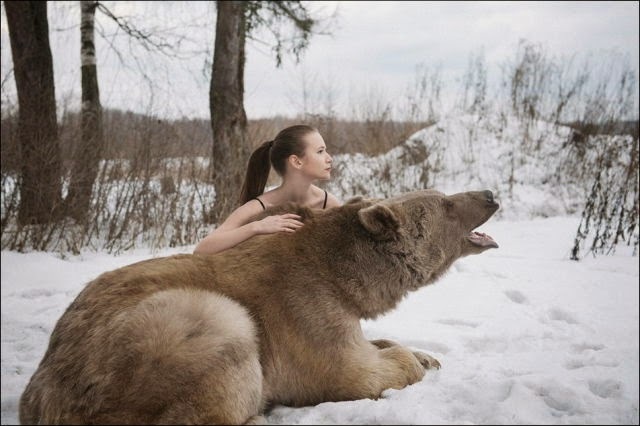 These beautiful girls were photographed in the snow with a 700 lbs (318 kg) brown bear named Stepan as the leading “man” in the pics. 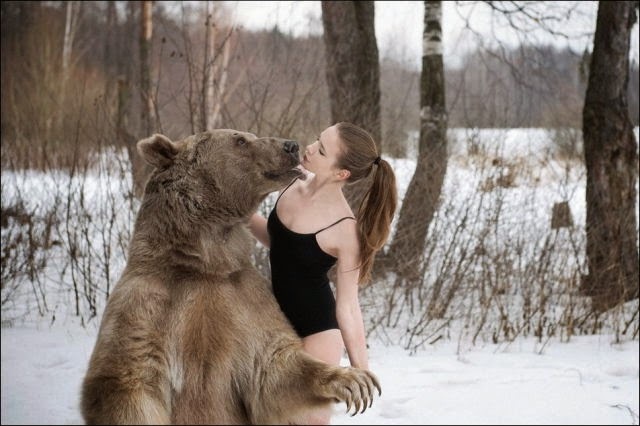 These girls make it look easy but it must have been a little terrifying.